Thankfully we are almost finished harvesting after what can only be described as the worst harvesting conditions for over 50 years. Now I can look forward to long cold days in the potato sheds sorting through all the potatoes and sending the orders out. 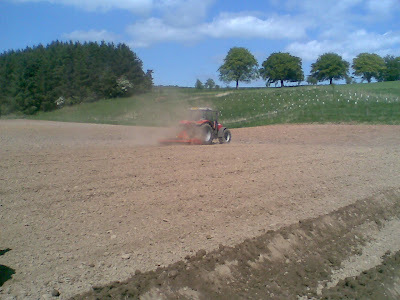 A few pictures of how we prepare the fields for planting. 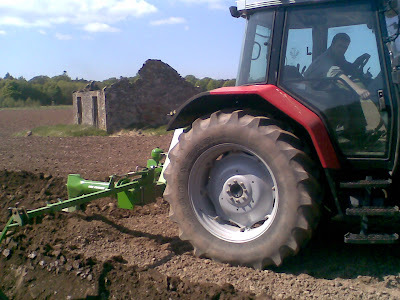 Each machine has a specific job to do and are essential to allow us to plant a good crop very quickly. 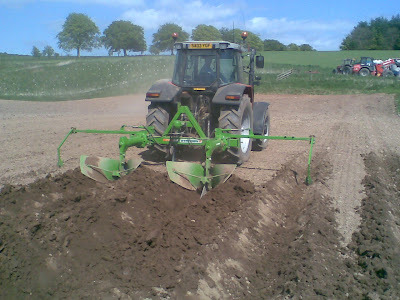 To plant 200acres of seed potatoes takes us around 7 weeks. All of our fields are soil sampled and NPK fertilizer is calculated precisely for each individual field. The weather is dry at the moment so we are back on to harvesting our seed potatoes today. We will spend the whole day lifting a variety called Desiree which is a maincrop potato and is very popular in the UK. 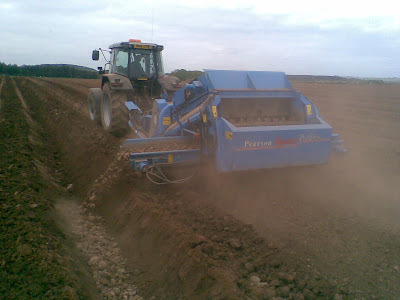 Jamieson Brothers Annan is a leading supplier and grower of Scottish seed potatoes. We supply seed potatoes and growing potatoes to UK garden centres, farms, allotment societies, other merchants and direct to customers. Jamieson Brothers are now the exclusive grower of Scottish seed Dunluce which are stocked throughout the UK along with the rest of our varieties by many retailers. Growing potatoes has never been as popular and seed potatoes are now easy to buy online. 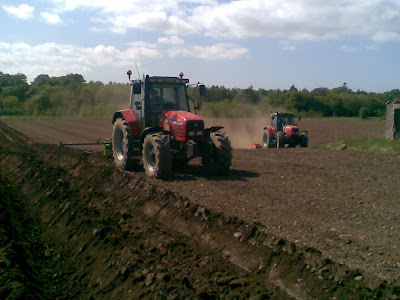 We stock around 70 varieties of potato and plant 200 acres of seed potatoes every year. The stock includes all the major First Earlies, Second Earlies, Maincrop and our new exclusive Vintage Varieties which are rare potatoes grown from mini tubers. Potatoes are supplied in tonne bags, 25kg hessian sacks, 2.5kg pre-packs and can be graded at almost any size required. With the increasing popularity of growing potatoes in barrels and pots we now offer a 500 gram pack with approximately 15 seed potatoes per pack. First Earlies: Arran Pilot, Pentland Javelin, Sharpes Express, Duke of York Rocket and Red Duke of York. Second Earlies: Maris Peer, Wilja, Nadine, Charlotte and Nicola. Maincrop: Pentland Crown, Maris Piper, Desiree, King Edward and Pink Fir Apple. 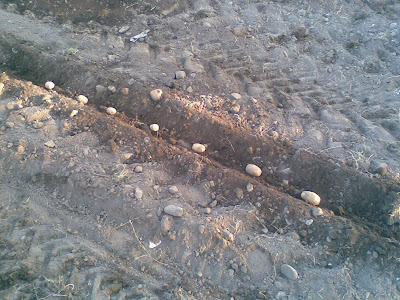 Latest News: This year's poor weather is going to lead to a shortage of seed potatoes. We recommend that your orders are placed early and we will aim to supply your full order. Jamieson Brothers of Annan was formed in 1895 as seed potato growers and merchants to supply an ever growing market. As a family run business you can be assured of a personal and professional service between customer and supplier. We stock over 70 different varieties of potatoes and others can be sourced if suitable quantities are requested. Our modern machinery ensures accurate sizing and delivery of product as it is packed. Our vast potato stores in Annan, Scotland, cover 5 acres of land and our state of the art cold storage system ensures that the potatoes are always kept at the optimum temperature. We operate 3 Newtec weighing machines in tandem with a Jasa packaging machine to ensure fast and reliable products. 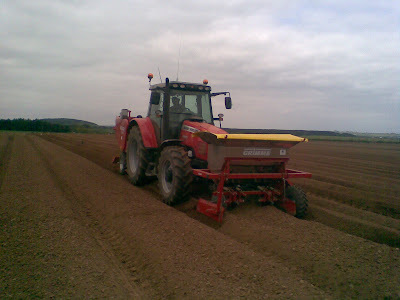 Our staff are trained to a very high standard and are involved in every process from the time the potato seed is planted to the time it is packed and delivered. We are situated in the south of Scotland beside the Solway Firth in Dumfries & Galloway and are only ten minutes from the M74/M6 motorway with easy access for articulated vehicles. Our aim is to produce a top quality potato product that meets the needs of the growing modern market place and build strong business relationships based on our ability to deliver quality produce, on time, to almost any destination. They have a high resistance to slugs. All of these varieties have a high resistance to blight. Shocking weather today has stopped us harvesting the potatoes today. It is wild and wet and the potatoes are not enjoying the weather nor are we. Dry again tomorrow we hope. I will have to grow flood resistant potatoes at http://www.jbaseedpotatoes.co.uk/ from now on. After purchase carefully empty seed potato contents into shallow boxes or trays, keep away from frost and store in a cool light area to produce a strong, thick sprout, making sure that the potatoes are rose eye upwards. You will need a container of around 80 litres to grow a good crop of potatoes from 5 seed potatoes.Make sure your container has adequate drainage holes in the bottom. 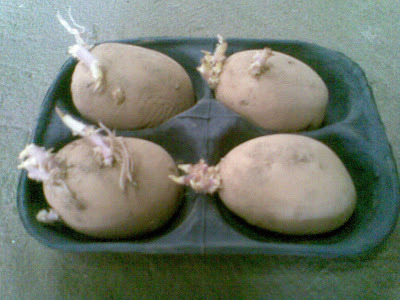 Your potatoes will require water and fertilizer weekly at least and preferably with the little and often technique to achieve steady growth so use a suitable plant food specially formulated for the job.